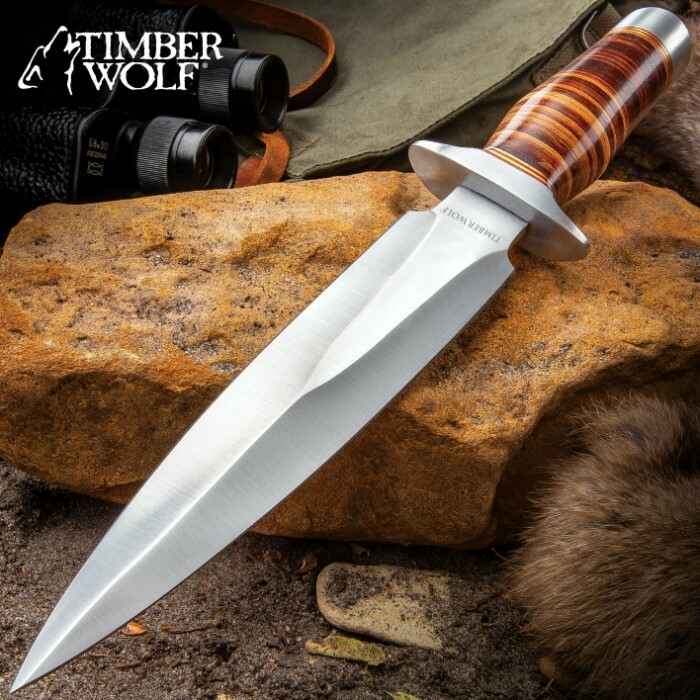 The Timber Wolf Leather Fighter Dagger is a combat-ready fixed blade you can completely rely on for the countless situations that you find yourself in. 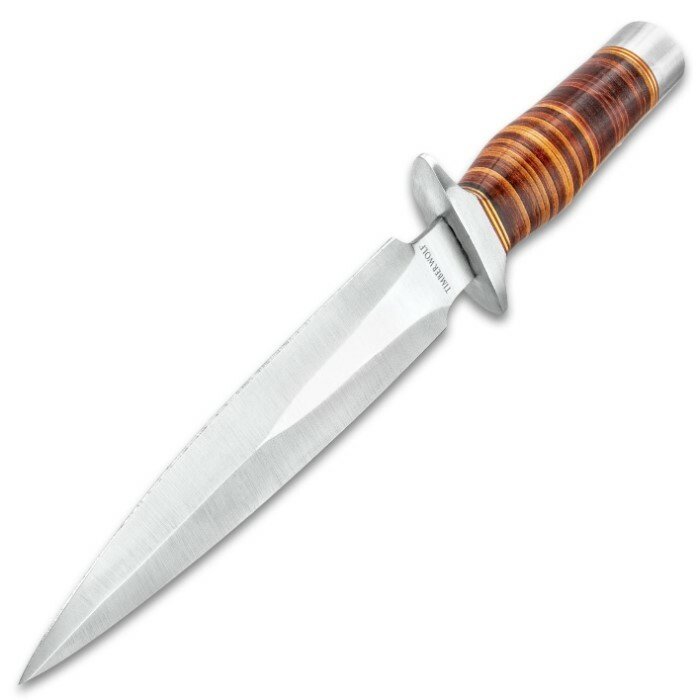 It has a razor-sharp, 8 1/2” stainless steel dagger blade with a point, which extends from a hefty stainless steel guard. 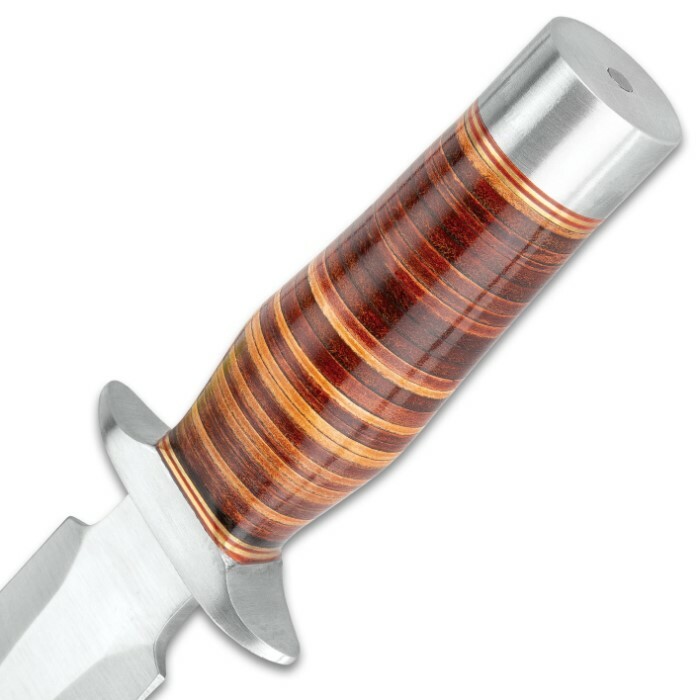 The handle is crafted of thinly banded leather in variations of rich brown tones, accented with brass spacers and a stainless steel pommel. 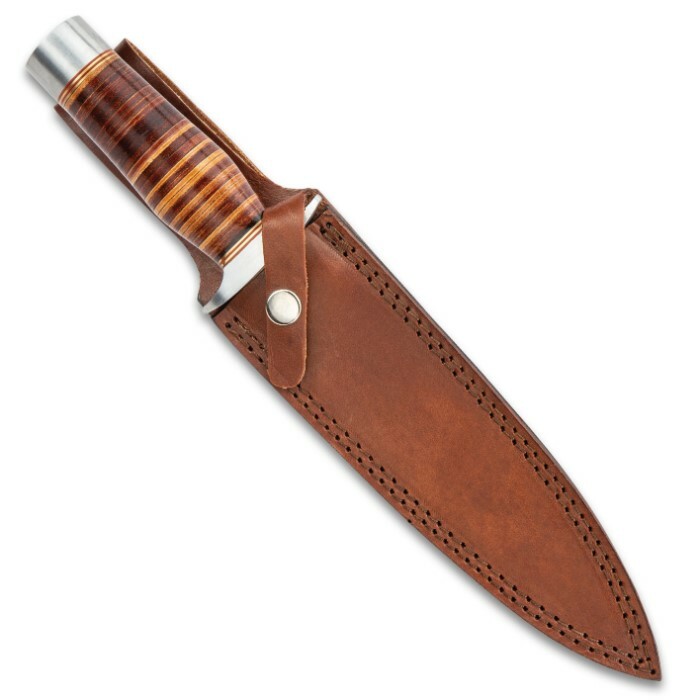 The 13” overall dagger fits like a glove in the included premium leather belt sheath, which has a snap strap closure.